W/BOX classic&CARTIER&18K Rose GOLD LOVE DIAMONDS NECKLACE 17"
Color: Rose GOLD. You will get what is shown on the pictures. Rings are: 2.5mm wide. 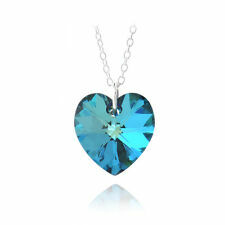 Nice large heart locket Italy 925 sterling silver, sterling silver made in Italy chain necklace. In very good pre owned condition. Price includes shipping. GUARANTEED 14KT PURE GOLD 16" 18" 20" 22" 24" 26" 28"
New ListingDavid Yurman Sterling Silver Large Box Chain with 14k Gold Tag 4MM Necklace 18"
4MM Necklace 18", no pouch. 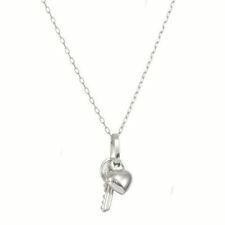 VINTAGE ITALY 14K white GOLD BOX CHAIN NECKLACE 23.5" .5mm 1gram. Condition is in very good preowned condition. Shipped with USPS First Class Package. 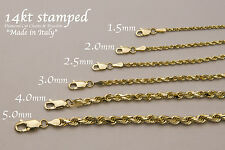 Beautiful 14k chain is 23.5" long and .5mm wide. Marked 14k Italy. Weight is 1 gram. Real Italian Silver Snake Necklace @ Wholesale prices. Be safe on all your journeys with this precious St. Christopher medallion necklace. A sterling silver pendant features St. Christopher carrying Christ with the etched words 'St. 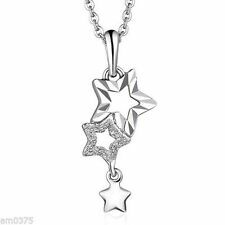 Christopher Protect Us' in a setting of sterling silver, suspended from a stainless steel 24-inch curb chain. Piece measures 1 by 9/16 inches with a total length of 24 inches. Top Father's Day Gift Idea 'St. Christopher Protect Us' Sterling Silver Pendant & Stainless Steel Chain Measures 1 by 9/16 Inches 24-Inch Curb Chain . STAMPED 925 & ITALY - 14" 16" 18" 20" 22" 24" 30" 36"
HARLEMBLING EXCLUSIVE! Wont Change Color Or Money Back! Conjunto a juego de cadena y pulsera cubana de Miami para hombre. Cadena de 160 gramos y pulsera de 48 gramos. 5x oro 14k real galvanizado para que no pierda el brillo ni se frote durante años. Nadie sabrá nunca que no es oro macizo. Marked Tiffany & Co and 925. 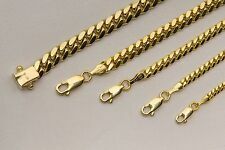 The chains fasten with a Solid 14K Yellow Gold Lobster Clasp that is very strong and easy to use (the 2mm chain feature a Spring Lobster Clasp). 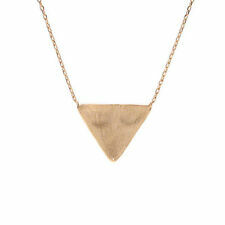 They can be worn on their own or with a pendant. 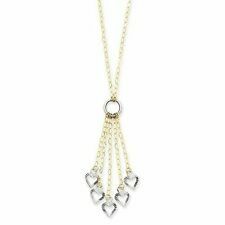 Figaro Chains are especially known for their classic style, shine, and strength. No Box Just Chain. YOU WILL ONLY GET WHAT YOU SEE IN THE PICTURES. Pictures are of the actual item you will receive. 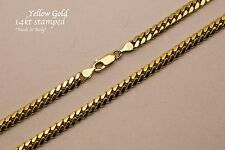 14k Solid Yellow Gold Rope Chain Necklace Pendant Bracelet 7mm-10mm Sz 8"-30"
14k Solid Yellow Gold Miami Cuban Link Chain Necklace 5mm Sz 20"-36"